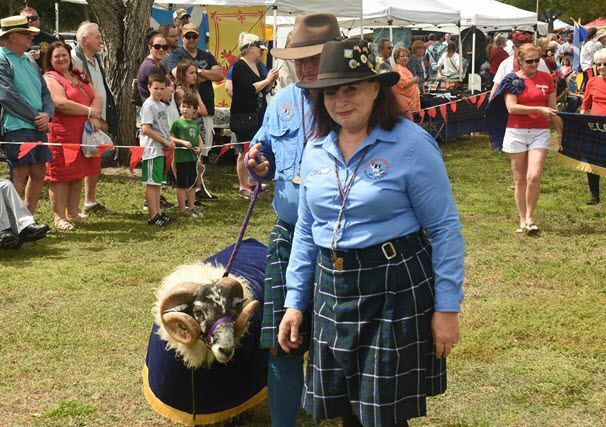 We are happy to share the fascinating & entertaining skills of the Craigmalloch Border Collies to provide authentic sheep-herding demonstrations on the Main Field throughout the Festival. Lucy and Stuart bring their love of the Border Collie and traditional sheep herding to audiences all over Florida and beyond. 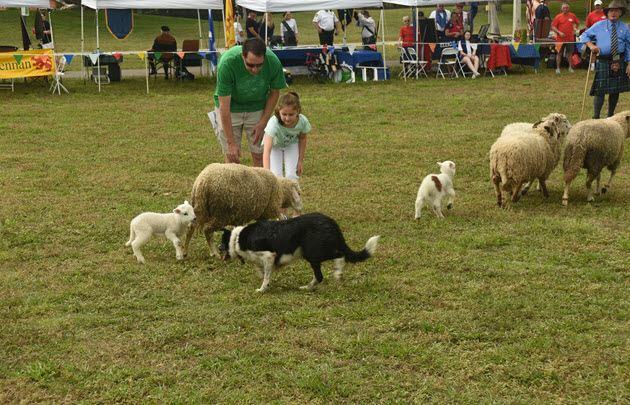 Their herding demonstrations educate and entertain promoting the working Border Collie and other working dogs, showcasing sheep breeds rarely seen in Florida and presenting an activity that the average person would probably never see. 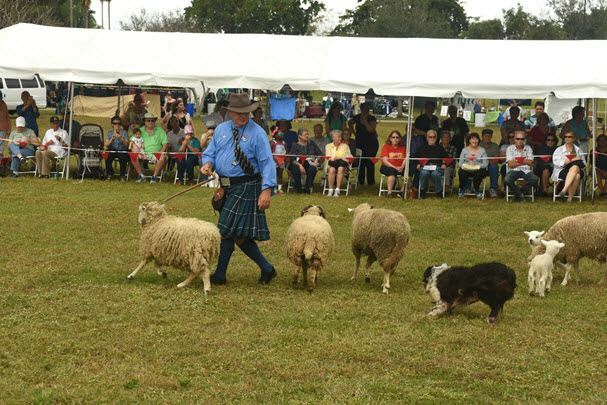 Along with their Border Collies, Lucy & Stuart have a small flock of Scottish Blackface sheep and horned Dorsets in Grant-Valkaria, Florida. Come meet their border collies and be sure to be introduced to McVicar, the Scottish Blackface ram who is papa to many of the flock.